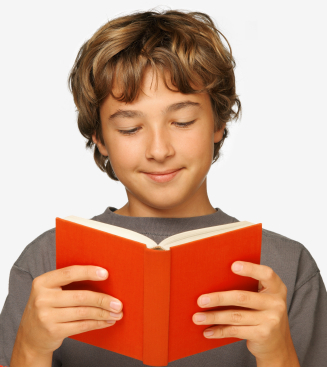 Ask A Speechie – My son has a lot of difficulty when reading out loud. How can I support his reading? This Ask A Speechie question is answered by Speech Pathologist Alexandra Crea. The foundation for reading, spelling, and writing is oral language – listening and talking to others. In turn, reading can help to further develop oral language skills, by expanding your vocabulary, furthering your knowledge of different sentence types, and improving your knowledge of grammar. Reading is one of the primary ways to receive information. Written communication is used to deliver instructions and teach content across school, university, work and through our daily activities. So if you are concerned that your son or daughter is having difficulty with their reading, it is worth speaking to their teacher or contacting a Speech Pathologist, to ensure that their reading difficulties are not having an impact on their learning and academic performance. There are many components of reading, which means there are many areas of reading that your child may be having difficulty with. If your child is making up words, or changing the words in the text to other words that look similar, it could mean that they are having difficulty sounding out the word and blending the sounds together- or ‘decoding’. For example, the word ‘elephant’ can be broken down to the sounds a-l-e-ph-a-n-t and then blended all together to be read accurately. Difficulty decoding a word can suggest that your child does not have a solid knowledge of the sounds that letters and letter combinations represent (sounds you can hear, letters you can see) and therefore is unable to read the letters within a word. Your child may benefit from having some strategies they can use to break the word up, so they aren’t trying to tackle a long word in its whole. This can be helped by furthering their awareness of syllables and understanding of syllable rules. It is important to note that if your child is having difficulty decoding while reading, this will most likely be affecting their reading rate and comprehension or understanding of what is being read. A reading assessment with a Speech Pathologist will identify which area of reading your child is having difficulty with. From there, they will be able to recommend what type of strategies or therapy will best support their development of reading and help to strengthen areas of difficulty. Melbourne Child Development also runs the Cellfield Program, which is a multi sensory, computer based program based on neuroplasticity, motor learning, phonemic awareness, phonics and vocabulary development. Cellfield is appropriate for children as young as 7 years old, and into adulthood. Cellfield focuses on strengthening decoding abilities by targeting sound- letter links ( phonics), blending and chunking of sounds together (phonemic awareness) , and strengthening scanning abilities. By strengthening decoding, Cellfield makes reading comprehension easier for children. Click here for more information on the Cellfield program. Alternatively, if you would like to find out more about whether the Cellfield program is a good option for your child, please contact the team at reception and ask to speak to a Speech Pathologist.